Sick of the “stubborn fat” clinging to your belly, hips, and thighs? Want to know how to get rid of it as quickly as possible? Then follow these 5 simple steps. Did you know that certain fat cells in your body are much harder to shrink than others? And that they tend to accumulate in the belly, hip, and thigh regions (the areas last to get lean)? Yup, there really is science behind the idea of “stubborn fat.” It’s 100% fact, not fiction. There are also a handful of science-based diet, exercise, and supplementation strategies to help you lose stubborn fat faster. Make sure you’re in a large enough calorie deficit. Make sure you’re eating enough protein. Do heavy compound resistance training. Take the right fat loss supplements. And in just a few minutes from now, you’re going to understand what those strategies are, why they work, and how to put them into play and see results in your first week. 1. Make sure you’re in a large enough calorie deficit. 2. Make sure you're eating enough protein. 3. Do heavy compound resistance training. 0.1 to 0.2 milligrams of yohimbine per kilogram of bodyweight before exercising. 1 serving of PHOENIX per day. Want to Know Even More About How to Lose Stubborn Fat Faster? What's your take on how to lose stubborn fat? Have anything else to share? Let me know in the comments below! Research clearly shows that the only way to achieve significant fat loss is to eat less energy than you burn. Yes, calories in vs. calories out matters. A lot. When you eat fewer calories than you burn, you’re in a “calorie deficit” because, well, you’re feeding your body fewer calories than it needs. And if you want to lose stubborn fat as quickly as possible, you need to ensure you’re in a large enough deficit. Specifically, I recommend that you eat around 25% fewer calories than you burn every day. That is, a 25% calorie deficit. This will help you lose fat at a rapid clip without ever feeling starved or deprived. Want to know how to figure out your calories? Check out this article. 2. Make sure you’re eating enough protein. If there’s one thing most weight loss “gurus” agree about, it’s that a high-protein diet is best. If you don’t eat protein, you’re going to have a rough time losing weight, and particularly with losing fat and not muscle. Research shows that somewhere between 0.8 and 1.2 grams of protein per pound of body weight per day is optimal. Want to know more about how much protein you need to eat and why? Check out this article. It should be to improve your body composition. And that means that we want your body to burn as much fat and as little muscle as possible. That’s how we’re going to make sure you get lean and muscular, not skinny fat. Using a proper calorie deficit and eating enough protein help with this, but heavy compound resistance training is the real linchpin. The best way to preserve (or even gain!) muscle while losing fat is to follow a resistance training program that emphasizes heavy weights and compound exercises. In other words, if you don’t want to lose your muscle when you diet (and just in general, really), you need to use it, and studies show that resistance training is best. Want to know how to build an effective resistance training program? Check out this article. HIIT is a form of cardio that involves short, maximum effort sprint workouts. And it’s very good for burning fat. Specifically, research shows that 25 minutes of HIIT training burns as much fat as 60 minutes of tradition cardio, and other studies have demonstrated similar findings. Increasing metabolic rate for up to 24 hours. Improving insulin sensitivity in your muscles. Increasing your muscle’s ability to burn fat for fuel. It’s also better for preserving muscle than regular low-intensity cardio, mainly because you don’t have to do nearly as much to keep the needle moving. Want to know how to get the most out of your HIIT workouts? Check out this article. The truth is most fat loss supplements are worthless. Unfortunately, no amount of weight loss pills and powders are going to make you lean. Trust me. If you’re trying to lose fat, pill popping, even to excess, isn’t going to be enough. If you know how to drive fat loss with proper dieting and exercise, certain supplements can accelerate the process. Based on my experience with my own body and with the thousands of people I’ve worked with, I feel comfortable saying that a proper fat loss supplementation routine can safely increase fat loss by about 30 to 50%. That is, if you can lose 1 pound of fat per week through diet and exercise alone (and you can), you can lose 1.3 to 1.5 pounds of fat per week by adding the right supplements into the mix. Caffeine increases the number of calories you burn and also boosts strength, muscle endurance, and anaerobic performance. My preferred source of caffeine is a my pre-workout supplement PULSE. Yohimbine is a natural substance that accelerates fat loss by making it easier to mobilize and burn “stubborn” fat cells. There’s a catch, though–research shows it only works when insulin levels are at a low, baseline level. So that means you can only use it if you exercise in a fasted state. The easiest way to do this is working out first thing in the morning, before you’ve had anything to eat. If you do this, you’ll ensure that your insulin levels are low and that the yohimbine (and the other supplements I recommend) will be maximally effective. 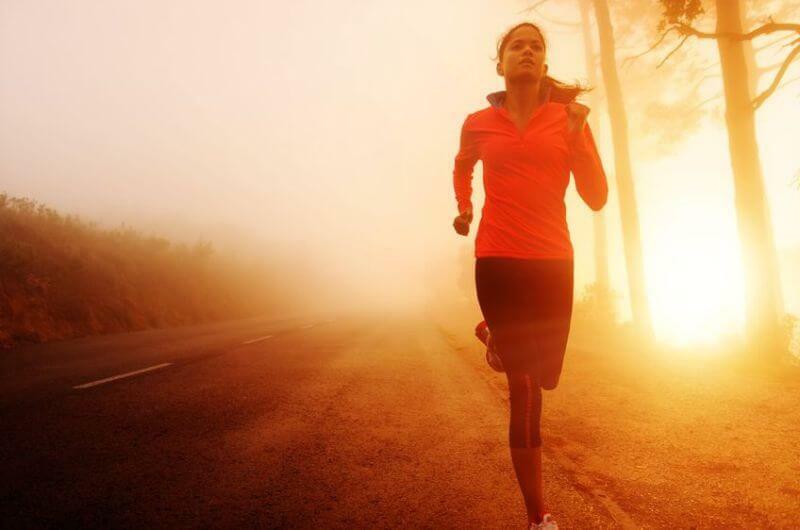 Fasted training has other benefits, too. Namely, it increases the amount of fat that you burn while working out and increases blood flow to “stubborn” fat regions like the stomach. 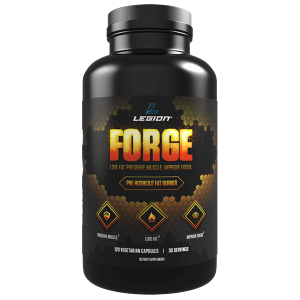 In terms of a specific yohimbine supplement to take, I recommend you check out my pre-workout fat burner FORGE. Every serving contains clinically effective doses of yohimbine, HMB, and CDP-choline, which help you burn stubborn fat faster, preserve your muscle, and have better workouts. Want to learn more about fasted training? Check out this article. 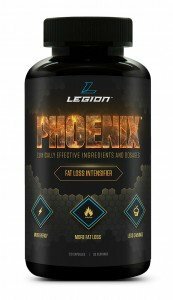 PHOENIX is a fat burner that I developed. It contains seven natural ingredients proven help you lose fat faster, including synephrine, naringin, and hesperidin. Research shows that synephrine boosts metabolic rate, helps “target” stubborn fat cells for reduction, and increases the thermic effect of food. Naringin and hesperidin work synergistically with synephrine to further increase its effectiveness. The bottom line is if you want to lose fat faster without taking a bunch of stimulants or harsh chemicals, then you want to try PHOENIX. Implement these five stubborn fat loss strategies, and you’ll lean out faster. What’s your take on how to lose stubborn fat? Have anything else to share? Let me know in the comments below!